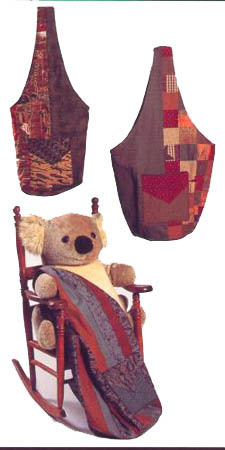 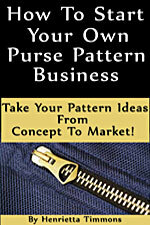 The Chelsea Tote bag pattern is a combination tote/sling bag or backpack that is loaded with lots of pockets and uses a "no fear" zipper technique. 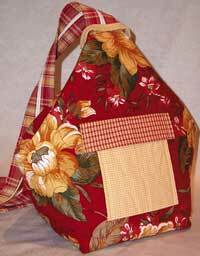 Finished size is 14" tall with an 8" square bottom. 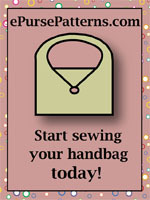 The Bag-E-Bottom E is now available to give support and a more professional look to your handcrafted handbag! 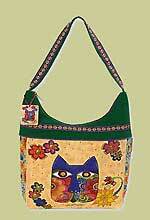 Low loft batting: 1 piece 21" x 36"
Optional: Bag-E-Bottom from Lazy Girl Designs or a 7" x 7" piece of plastic canvas.